just follow your feet....: have you ever? Have you ever had a race delayed for over in hour while sitting in 100F/38C heat? 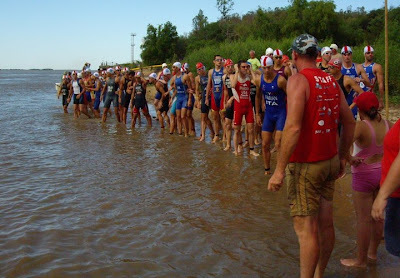 Have you ever had a race referee blow the horn to start the swim when no one was ready? 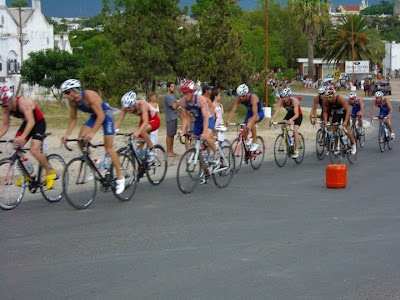 Have you ever been at a race where the temperature drop 30 degrees in 10minutes? 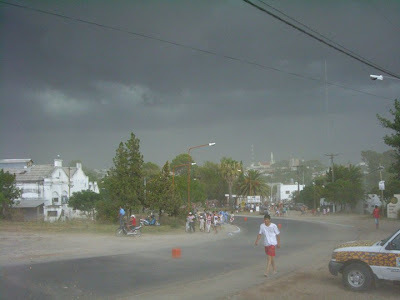 Have you ever been riding along in a pack and then been swallowed by a sandstorm? After being swallowed by the sandstorm, have you ever smacked into your good friend and crashed? Have you ever seen a foot of rain fall in 30minutes in a race before? Have you ever had pavement turn into a slip and slide? Have you ever seen 20 people crash (separately) in a race before? Have you ever ridden up to your skewers in a moving water? Have you ever rode into T2 only to see volunteers holding your shoes so they dont float down the river? Have you ever run through water up to your knees....on a street through the run course! 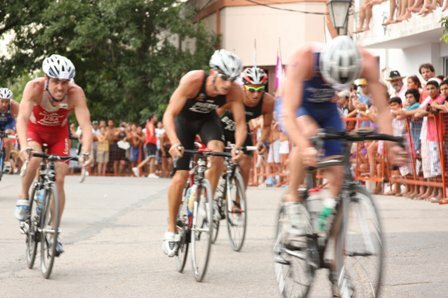 If you can answer yes to all these questions, you were definitelty at 2011 La Paz Triathlon. 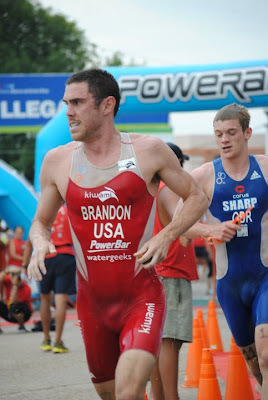 *-There is some discrepency as to whether another athlete in the top 10 cut the course. You look like Bob Brandon running when Bob was 20 years old in his prime. A terrential foot of water in thirty mins is astounding---must set some kind of tri record. What's beautiful is the # of spectators who stayed on the course to cheer you guys in. Congrats on Top Ten finish & moving up in world rankings.